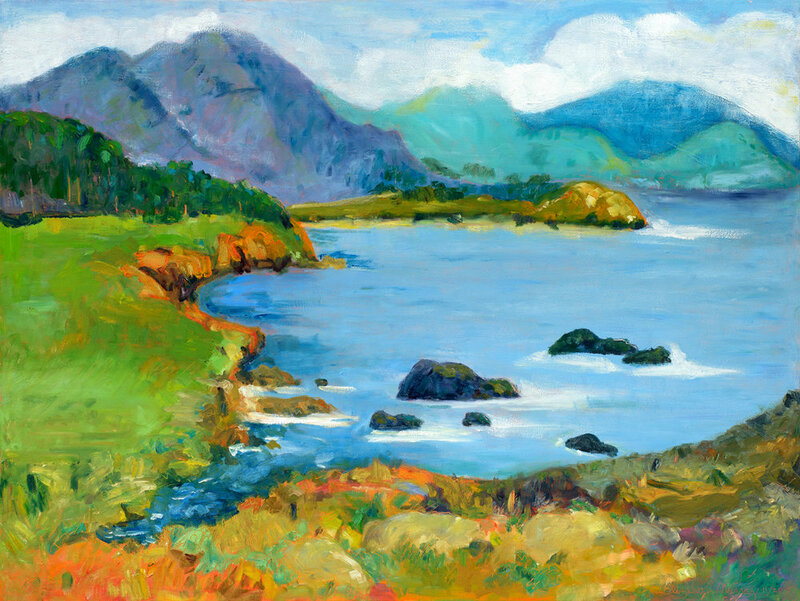 Whether painting on the cliffs of Big Sur, or from my inner garden, I bring my spirit and love of light, color, and form into each unique piece. I paint with oils and wax for transparency and luminosity onto canvas, French paper or wood panels. Oil on canvas, framed - 25"x37"
Oil and wax on canvas, 22” x 28"